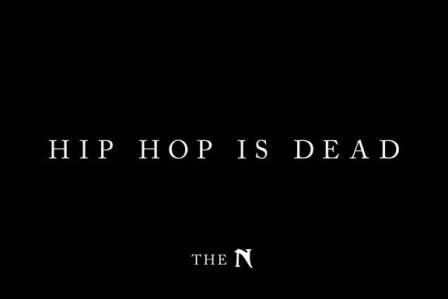 Nothing annoys me more than when I hear someone, especially other artists, say how "music is falling off" or that "hip hop" is dead. Hip Hop began as this progressive art form. It was about breaking the boundaries of traditional music and tapping into in a range of influences. Yet, people have allowed the earlier forms of Hip Hop to dictate what the sound is and how it should remain throughout its existence. Progressive by definition means to "develop gradually or in stages." Why can't where we are with Hip Hop just be the next evolution? This semi-rant spawned from a few articles I've been reading around people's reactions to the 2012 Soul Train Awards. It's the age old debate of how music just isn't what it used to be. How people aren't moved by what they hear like they were a decade ago. I'm sure in the 60s this is how people felt about the 70s music. As with the 80s, 90s, 00s, to now. Music, as with most art forms, is merely a reflection of the era that it's in. The 70s was about love, peace and harmony. Skipping ahead to the 90s/00s where it was a party era. If you think about it, within black culture, the 90s/00s was probably the first generation of black people to have millionaires sprouting up left and right. The music of that time just highlights the story of having new money and partying and just balling out of control because you can! Now, there's this continually growing complaint that music is too violent and further promotes black on black violence. But, sadly that's a reality that's faced by a large percentage of the black population. Coupled with that is the high unemployment rate which I'm sure has resulted in an increased number of "trappers." So, instead of looking at it as a glamorization of a lifestyle. Why not view it as a documentation of an era? Music has always had that ability to trigger memories of a place and time in our lives. Why? Because it represents a former state of mind or reflects a time and point in our lives. But, to go back to how music is progressive. I believe people undervalue the contribution that "Hip Hop" artists in the last 10 years have had on music. Sometimes I find myself getting caught up trying to categorize a song by a rapper into a specific genre. Just this afternoon, I moved "Shot For Me" by Drake to my R&B channel on Pandora. This generation of artists has seamlessly blended what was once a siloed genre into the mainstream. It's pop, it's r&b, it's rap, rock, techno. What this genre now represents is our society. One that's no longer black or white, but a melting pot. So, not only are today's artist more versatile in some regard, they're also revolutionary.